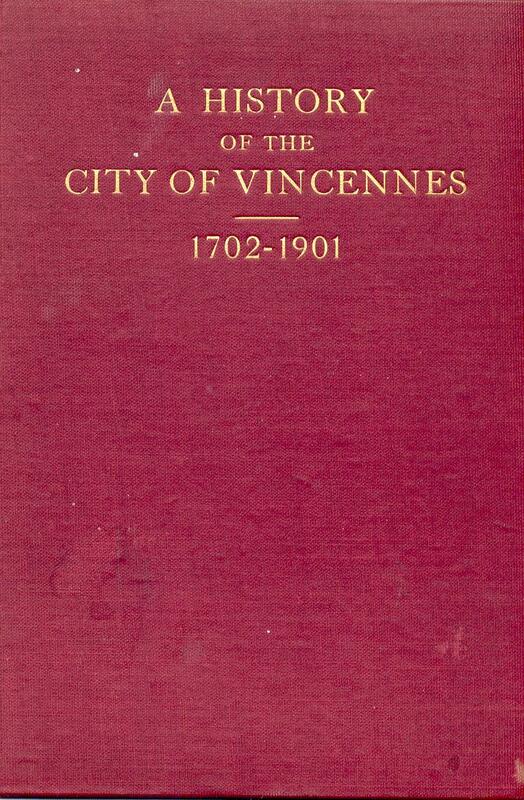 A rare early historical and genealogical reference, the book, “A History of the City of Vincennes, Indiana from 1702 - 1901,” by Henry S. Cauthorn, Terre Haute, Indiana, October 1901. 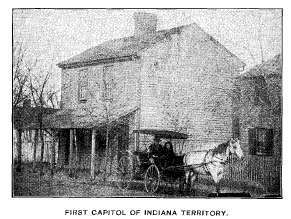 This book provides significant historical and genealogical data about American families who lived in Vincennes, Indiana for the two hundred years between 1702 - 1901. 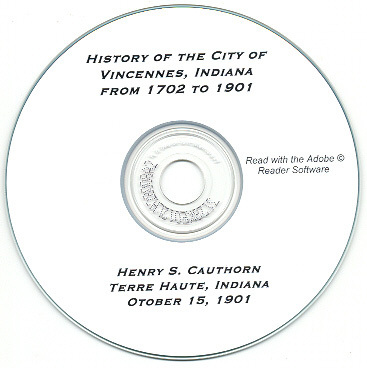 This CD book is fully indexed and linked for ease of use. Please note: This is not a paper book, it is a scan of the original paper book into the digital Adobe PDF format, written on a CD-ROM. You read this book on your computer using the free Adobe Reader software. It is a digital version of a hard to find book. 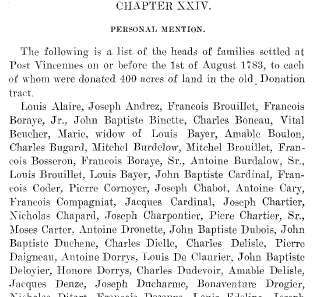 If you could find a copy of the 1902 printed book, it would be very expensive.